At least 13 people were detained while they were allegedly on their way to flee Turkey’s post-coup crackdown to Greece, media said on Jan 9. State-run Anadolu news agency said gendarmerie stopped a suspected group of 13 people in Gavurağılı neighborhood in the western province of Mugla. When some of the group members attempted to escape gendarmerie and to avoid interrogation, they were rounded up. 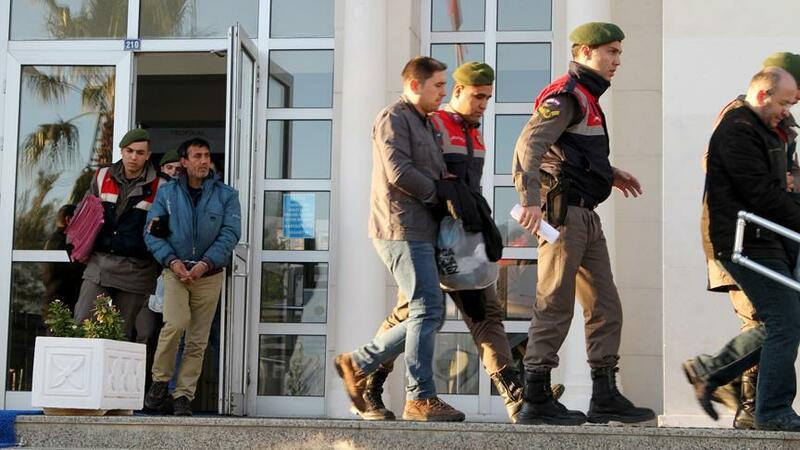 Anadolu said that four of the suspects, identified as Şenol U, Oğuzhan P., Hüseyin S., and Mahmut A. were revealed to have outstanding arrest warrants over ties to the Gulen movement. While the four were detained and subsequently put in pretrial detention, three women and five children were released. Turkey Purge has not received information about the remaining person.